Before playing FPS games, you may use Armory in the HEADSHOT program to adjust firearms and save them to the mouse memory. 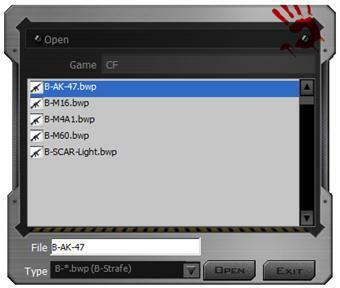 Depending on FPS games and firearm features, there are “5-Gun-Adjust” modes you may select, e.g., [A-Burst], [B-Strafe], [C-Machine] ,[D-In_Game] and [M-Macro] respectively. For instance, in the game session while a gun or a rifle is picked up, without quitting the game, you may use [D-In_Game] mode to perform gun adjustments, to enhance the gun’s firepower with concentrated ballistics and improved accuracy to increase the headshot rate. In the firearm files, the initial mouse sensitivity setting of the game will be used. Before you start to adjust mouse sensitivity, check the current file settings. If it is the same as the game default, then go to adjustment page to adjust for best mouse sensitivity to improve points of impact with concentrated ballistics. For instance, some popular shooting games, default sensitivities are: AVA is 10, Cross Fire is 50, NZ is 30 and Counter-Strike is 3.0. Setup bullet numbers Setup the bullet numbers per burst when the L-Key is pressed. Bullet numbers may range from 1 to 5 bullets. Sight return If offsets are added in HEADSHOT’s gun adjustments, after the shooting cycle is completed, you may decide to return the sight to the “first shot” position. 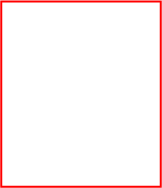 Non-return: Remain in the last shot position, no compensation is added. Return: Return to the first shot position with compensation. As the figure shows on the right, due to the recoil effects, the second shot of impact point is offset by (3, 4) in correspondence to the first shot. Reverse correction by input (X, Y)=(-3, -4) will compensate the offset generated by the recoil, as results, the second shot impact point is corrected to the first shot, a third shot can be corrected at the same way and so on. The offset unit is the display pixel, different game resolutions will affect the offset values. The 2nd shot is offset by (3,4)，input (-3,-4) will correct the offset and return the sight to the first shot. 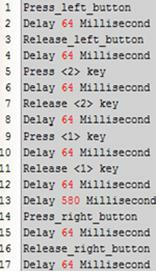 Example: See the figure on the right which implies, Press the L-Key to perform [A-Burst] with 5 bullets per burst in the sequence as below: 1st shotàoffset by (-2, 1)pixels à 2nd shotàoffset by (-2, 2)pixels à 3th shotàoffset by (-1, 1)pixels à 4th shotàoffset by (-1, -1)pixels à 5th shotàEnd. Trajectory Test To understand how to setup the terms of; [Adjust(X, Y) Offset], [Shooting Interval(ms)], sight [Return], setup bullet [Numbers] and Main/ [Loop] ballistic, you may click the “Trajectory” tab to open the screen as shown on the right. You may test the gun’s performance and see how they are reacting to the various settings which are essential before starting to setup the optimal firearms performance. 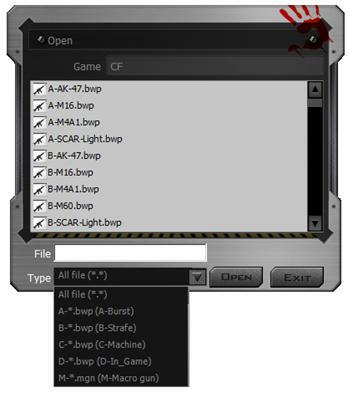 Gun Test On the lower right corner of “A-Burst” screen, click “Test” tab to open the reminder as shown on the right which explains current gun adjustment settings will be saved temporarily to the mouse memory(without saving the file) and can be activated by using the “N” key for immediate testing on the real gameplay. If results are not satisfactory, you may go back to “Gun Adjust” to reset settings and test them again until you are satisfied, then you may store results to the Armory and save to the firearms file. Pause L-Key N/3 functions While L-key is working in N / 3 modes (LED indicators in green or yellow), you may require the left button default function. Hold down the left button a few seconds, to setup the C4 time bomb in AVA, click the right button options as shown on the right, the left button can be reset to default and backwards by clicking the right button again. Setup bullet numbers Setup bullet numbers per Strafe run. Sight return If offsets are added in HEADSHOT gun adjustments, after the shooting cycle is completed, you may decide to return the sight to the “first shot” position. Non-return: Remain in the last shot position, no compensation is added. Return: Return to the first shot position with compensation. Ballistic cycle Ballistic cycle: A typical [B-Strafe] mode usually consists one of main shooting cycle and followed by many repetitive loop cycles. Example: Main cycle consists of 6 shots from 1st to 6th. Loop cycle consists of 4 shots from 3rd to 6th of the main cycle, and then repetitively circulates the loop, e.g., in the sequence of 7th to 10th shotà 11th to 14th shot à 15th to 18th shot à…etc. Game title: AVA Gun type:G36 Settings: Time interval: 100 ms Offsets: -1 pixel Sight return: enabled Sensitivity: 10 Adjust time Intervals & offset to yield focused impact points. Results:The left focused impact points shows the amazing effect of gun adjustment vs. the right scattered impact points without any gun adjustment. Game title:CF Gun type:M16 Settings: Time interval:100 ms with 600 ms for the last shot Offsets: 0 pixel Sight return: disabled Sensitivity: 50 Adjusting Intervals. Offsets and add longer delay at the last shot to yield the focused impact points. Results:The left focused impact points shows the amazing effect of gun adjustment vs. the right scattered impact points without any gun adjustment. Game title: CS Gun type: M4A1 Settings: Time interval:125 ms with 600 ms for the last shot Offset: 0 pixel Sight return: disabled Sensitivity: 3.0 Adjusting Intervals, Offsets and add longer delay at the last shot to yield the focused impact points. Results:The left focused impact points shows the amazing effect of gun adjustment vs. the right scattered impact points without any gun adjustment. Game title: NZ Gun type:AR-15 Settings: Time interval:100 ms with 400 ms for the last shot Offset: 0 pixel Sight return: disabled Sensitivity: 30 Adjusting Intervals, Offsets and add longer delay at the last shot to yield the focused impact points. Results:The left focused impact points showing the amazing effect of gun adjustment vs. the right scattered impact points without any gun adjustment. 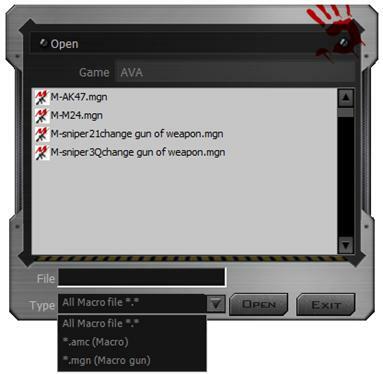 Machine gun recoil suppression In the [C-Machine] mode，press and hold the L-key and the machine gun will start to shoot at the speed defined by the game default, you may add fixed time intervals and offset to yield which focuses machine gun firepower. Time interval settings In this [C-Machine] mode, the machine gun will shoot at the fixed speed defined by the games, before you can start to adjust the offset, you have to tune the shooting speed closer to the game default speed. The left impact points are drifted upwards. 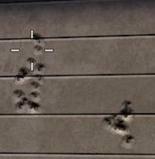 After gun adjustment, the right impact points are much focused. Usage [D-In_Game] is similar to [B-Strafe] mode, except the usage is different. 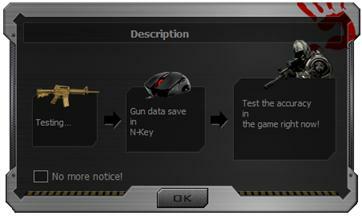 The [D-In_Game] mode is used in the middle of the game session, for instance, when a gun is picked up in the game, without quitting the game, you may use [D-In_Game] to perform real-time gun adjustments by double clicking the control key “N” or ”3”. The corresponding data will be automatically saved and updated to the original firearms file for future use. 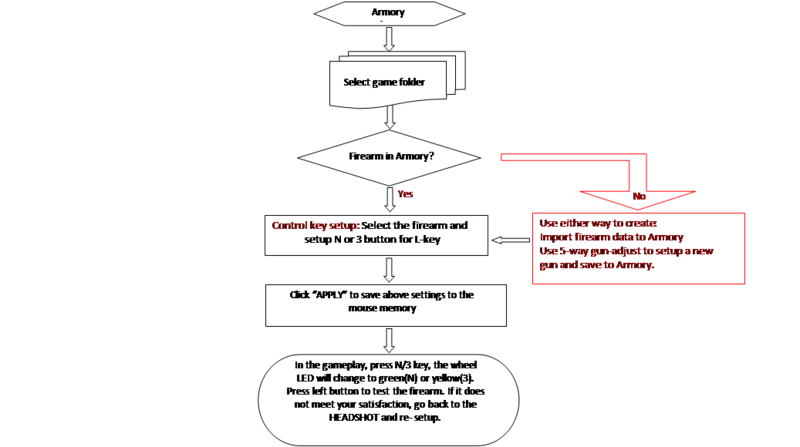 Application In the [D-In_Game] mode, preset sight to [return] add fixed time interval , adjust Y [Offset], then save data to firearms file and designate to control key “N” or “3”. In practical testing [D-In_Game] on some popular games, the [D-In_Game] screen may not show up properly, however, you still can perform the settings with immediate effect. Adjust[Shooting interval]： Roll the wheel one step up will increase 1 ms. Roll the wheel one step down and it will decrease 1 ms.
Usage Via Oscar Macro editing, [M-Macro] can be programed and assigned to the mouse left button. It is suitable to incorporate serious of actions after you snipe shoots. You can incorporate actions like jumping, squatting, getting on the ground…etc., so that the enemy cannot aim at you easily. At the same time, if you need to perform trajectory adjustment, you can add relevant offsets to adjust the gun. Editing Oscar [M-Macro] requires basic programing knowledge, and it also can be downloaded via the shared platform. Application Clicking [M-Macro] tab will list out all the available macros as shown above, tick the ones you want and open “Oscar Editor” to start editing. You may save the macros to the Armory for future use after satisfactory gun testing. Example of using M-Macro for sniper shoot It is highly demanded to be a sniper, not only does it require very high technical skills, but also you need to get familiar with your hiding spot and be well-disguised. when a target appears, the sniper has to locate the objective and start to aim and shoot, then reload for the next target. 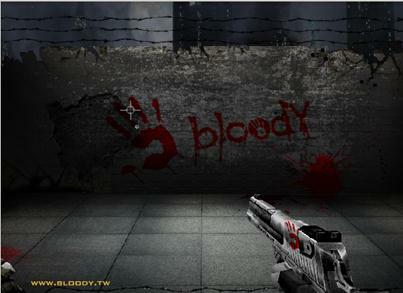 In general, the following actions are executed in sequence: - After clicking left button to shoot, add actions like jumping, squatting, get on the ground…etc., in the meantime, shift gun to pistol and backwards, then reload and get ready for the next shot. - After clicking the left button to shoot, add actions like Jumping, Squatting, Get on the ground…etc., in the meantime, press Q to shift gun and press Q again to resume, then reload and get ready for the next shot. Select ”Play Macro Once Only”, clicking the left button once will execute M-Macro one time. 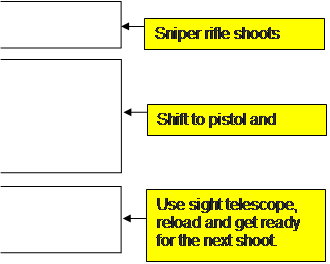 The following example will perform the actions after you click the left button, shoot the sniper rifle, shift gun to pistol and backwards, reload and use the sight telescope for the next shot. You may edit and save it to mouse the left button, and once you click to the button it will perform all the actions automatically. 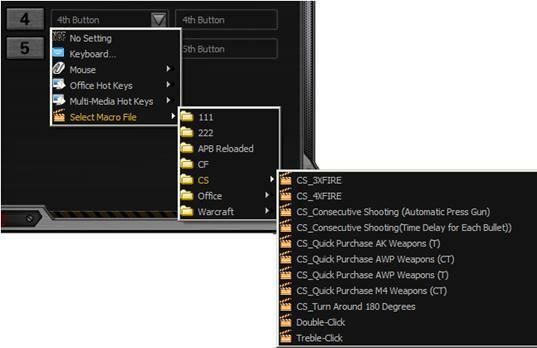 All macro file types: Macro file type breifing: *.amc – for mouse button application: Example: Assign the 4th button with macro file as shown and click “Apply”, then the macro file is assinged to 4th button for immediate use. *.mgn - for M-Macro application: To edit *.mgn files, you may open the file using Oscar Editor as shown below: Example: How to transfer a general macro “*.amc” file to a “*.mgn” M-Macro file: In the M-Macro file management, select a gerneral marco file and save it to M-Macro “*.mgn” file as shown below. Bloody3 - HeadShot Firearm Adjustments | Исчисляемые и неисчисляемые существительные.